Beginning of December, Dario Carrea, Marc-Henri Derron and Michel Jaboyedoff visited the deep geological repository for nuclear fuel of Onkalo, on the island of Olkiluoto (Western Finland). 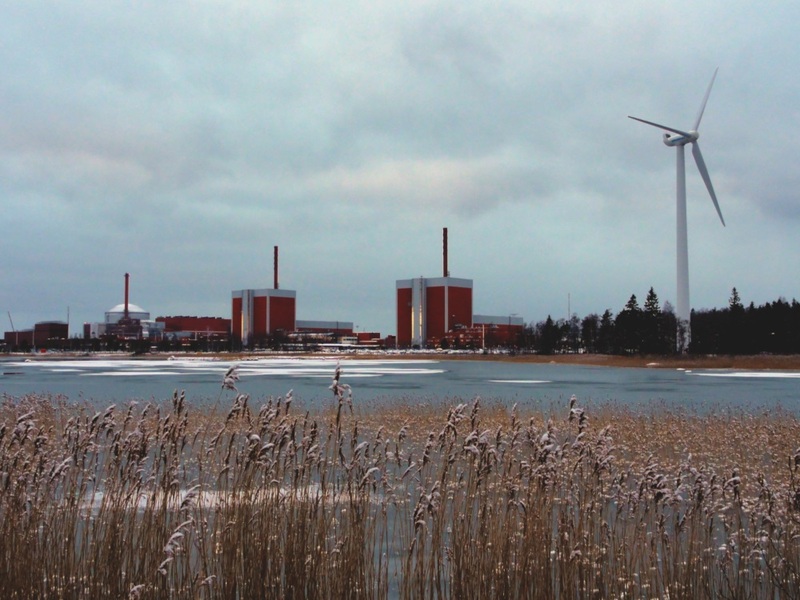 Onkalo is the first repository for the final disposal of spent nuclear fuel. 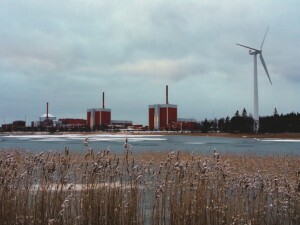 It is operated by Posiva Oy and is located next to the Olkiluoto nuclear power plant (picture). UNIL’s risk group was asked by Posiva Oy to proceed to a quality checking of laser scanning data. Due to their relatively unpredictable characteristics, shallow landslides represent a risk for human infrastructures. Multiple shallow landslides can be triggered by widespread intense precipitation events. The event of August 2005 in Switzerland is used in order to propose a risk model to predict the expected number of landslides based on the precipitation amounts and lithological units. The spatial distribution of rainfall is characterized by merging data coming from operational weather radars and a dense network of rain gauges with an artificial neural network. Lithologies are grouped into four main units, with similar characteristics. Then, from a landslide inventory containing more than 5000 landslides, a probabilistic relation linking the precipitation amount and the lithology to the number of landslides in a 1 km2 cell, is derived. In a next step, this relation is used to randomly redistribute the landslides using Monte Carlo simulations. The probability for a landslide to reach a building is assessed using stochastic geometry and the damage cost is assessed from the estimated mean damage cost using an exponential distribution to account for the variability. Although the model reproduces well the number of landslides, the number of affected buildings is underestimated. This seems to result from the human influence on landslide occurrence. Such a model might be useful to characterize the risk resulting from shallow landslides and its variability. More information and full paper on the NHESS website. In Switzerland, the annual cost of damage by natural elements has been increasing for several years despite the introduction of protective measures. Mainly induced by material destruction, building insurance companies have to pay the majority of this cost. In many European countries, governments and insurance companies consider prevention strategies to reduce vulnerability. In Switzerland, since 2004, the cost of damage due to natural hazards has surpassed the cost of damage due to fire; a traditional activity of the Cantonal Insurance company (ECA). Therefore, the strategy for efficient fire prevention incorporates a reduction of the vulnerability of buildings. The thesis seeks to illustrate the relevance of such an approach when applied to the damage caused by natural hazards. It examines the role of insurance place and its involvement in targeted prevention of natural disasters. Integrated risk management involves a faultless comprehension of all risk parameters. The first part of the thesis is devoted to the theoretical development of the key concepts that influence risk management, such as: hazard, vulnerability, exposure or damage. The literature on this subject, very prolific in recent years, was taken into account and put in perspective in the context of this study. Adaptation of a global strategy in high-risk areas based on the elements at risk. The final part of the thesis is devoted to the study of a hail event in order to provide a better understanding of damage to buildings. For this, two samples from the available claims data were selected and analysed in the study. The results allow the identification of new trends. A second objective of the study was to develop a hail model based on the available data. The model simulates a random distribution of intensities and coupled with a risk model, proposes a simulation of damage costs for the determined study area.